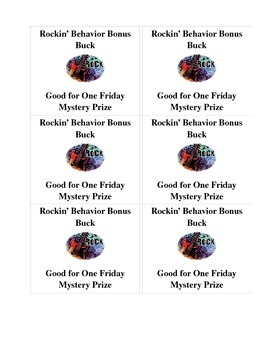 These behavior bonus dollars can be used by students for a Friday "mystery prize" that only you know! Great incentive to be handed out at the teacher's discretion throughout the classroom day. Can be edited to suit your classroom theme.